It all happened in an instant. 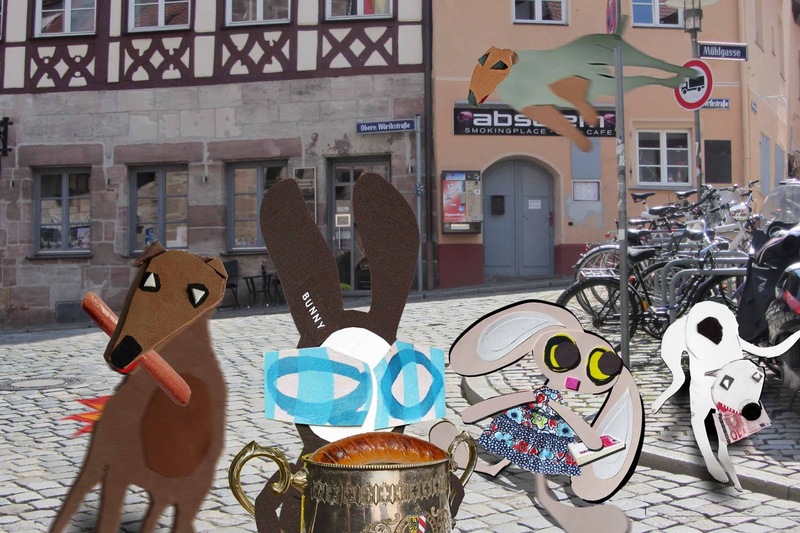 Without waiting, the Wabbit grabbed the Trophy and Lapinette seized her winnings. 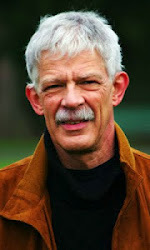 Give a Flux, the white greyhound, snatched what he could and Arson Fire tightened his grip on his hot dog. "Run!" shouted the Wabbit and he loped off at speed. "What odds?" gasped the Wabbit. "Hundrrred to One," barked Arson Fire, "can we keep the Trophy? I won it." "It's quite awful," yelled Lapinette. "And it weighs a ton," yelled the Wabbit. Not far behind, Woof Hearted soared through the streets "What's that brrratwurst made of?" he growled. So the Wabbit sniffed, then sniffed again. "It smells ... of my Dinosaur Fund." He knew at that instant what it was - because the Trophy was much too heavy and sturdy for a competition prize. "It's gold," said the Wabbit. "It's probably a Good Delivery Bratwurst," suggested Lapinette. "Look, I'm not a Chinese take away," scoffed the Wabbit. "That's gold bullion to go," replied Lapinette. 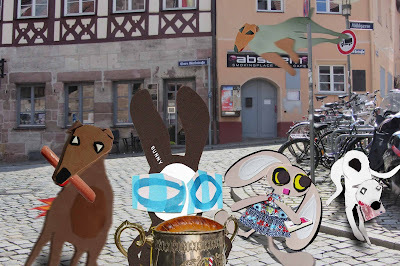 Even at the Wabbit's considerable velocity, Lapinette could see his brow knit into a ball. "Four hundred golden ounces in the shape of a sausage." The Wabbit clasped the Trophy fiercely to his fur and quickened his pace. "How much do you think?" "Half a million," gasped Lapinette. 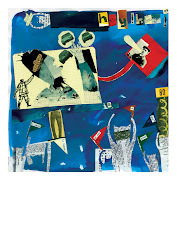 The Wabbit loped faster. "Let's find some quiet spot." "What then?" asked Arson Fire. "We cook the sausage," said the Wabbit.